Hippo is raising £150,000 investment on Crowdcube. Capital At Risk. 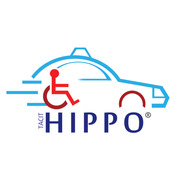 Hippo plans to be the UK's best-dedicated transport service for disabled and non-emergency medical patients. With an NHS contract secured & private care homes as clients, they aim to allow faster hospital bed rotation, reduced A&E waiting times and free ambulances to attend more emergencies. The UK has an estimated 13 million disabled people without access to a dedicated transportation service. The ambulance service is struggling with transport waiting times which are now peaking at an all-time high, leading to difficulties in meeting patient demands. Hippo utilises modern technology to provide a wheelchair-accessible transport service for disabled and non-emergency patients. Our vehicles are fitted with medical supplies and all drivers are trained on First Aid and CPR. We currently operate in South East Essex, having membership with South Essex Care & Health Association, and have an NHS contract in place. Investment will enable us to expand our services to London and the North East. It will also help us to serve the existing NHS contract and generate more business from the NHS and private healthcare and insurance sectors. In future, we aim to build a specialised booking and management solution that will integrate our video camera system, so that patients can be monitored centrally throughout their journey by the NHS and family members. We are up to 60% less expensive than the ambulance service, which is why we believe the company is attractive to the NHS and is being used by private care homes. Coupled with our aim to provide quick service response times, we believe the company is well-positioned to approach and win more contracts. To see the rest of the Hippo pitch, join now. Join to read more information about the Hippo team, documents, and what other investors are saying about the pitch.